With London Fashion Week over, but London Fashion Weekend on the horizon, we continue our new series “On Our Radar”, bringing you the freshest fashion finds for you fashion fillies. 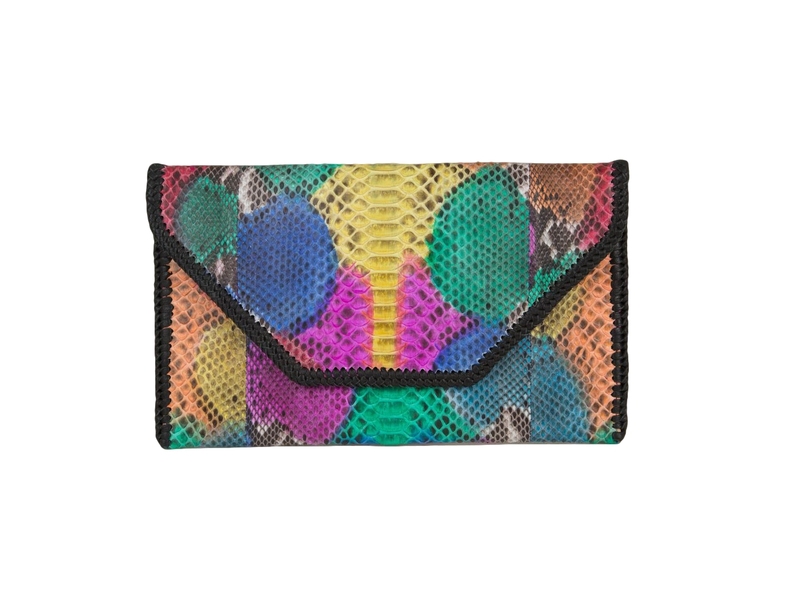 With slinky python prints covering covetable designs in eye-popping colour ways, Novella Buying is a brand that is raising animal print to another level of style ecstasy! 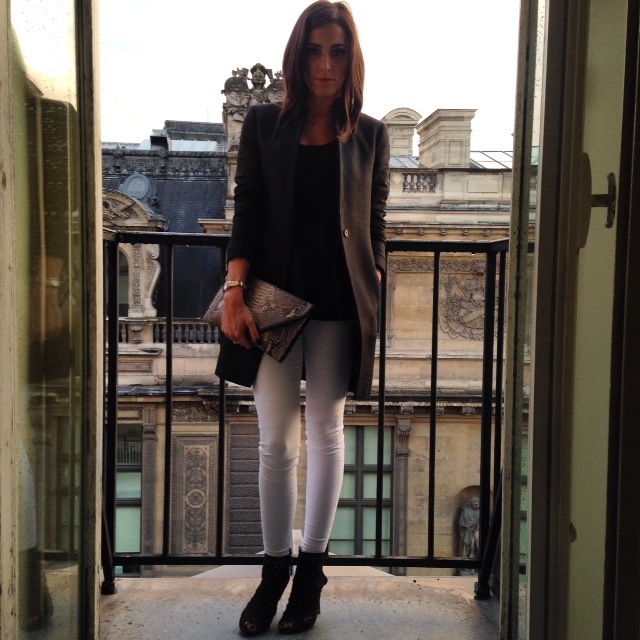 We sit down to speak to Kate, the incredibly stylish woman behind the label. We certainly hope this is one leopard that DOESN’T change its spots! We know that your range of accessories are gorgeous, but we would love to know more about you! Since I can remember, I always knew I wanted to work in the fashion industry as I grew up surrounded by beautiful evening gowns and wedding dresses, helping out in my mum’s special occasion wear boutique in Cheshire. At about 14, I made it my goal to move down to London to attend London College of Fashion for a fashion degree and, at 18, I began my BA Fashion Management degree. I specialised in Fashion Buying and even worked at Ralph Lauren as a Fashion Buying Assistant but I knew that my true passion was to own my own business. So, after a year of travelling the world and gaining a plethora of inspiration, I began to realise my dream and bring together the beginnings of Novella. So a brand was born! Speaking of the name, We LOVE Novella! Where did it come from? Thank you! Novella actually has several meanings depending on how you look into it. It has an origin from the word Nova, in which case it refers to a brand new star, which, although it is new and young, shines particularly bright with its juvenescence!!! Well your business is certainly shining! What are the parts that sparkle for you and what are the challenging parts? One of my favourite parts of my job is being around new customers when they are touching and trying on the accessories and seeing how much they love them, just knowing that my instincts were right about what people would find beautiful (plus the trips to Bali to meet the manufacturers and discover new ideas aren’t bad either!). I would probably say the most challenging aspect of being your own boss is having to rely on yourself to make final decisions. You really have to put a lot of faith into your research and then gut instinct when making choices, especially when at the very beginning stages of the business and not having any companions working with you! And what has been your proudest moment for the business so far? I think I would have to say hitting LIVE on the website. After months of product research, design and selection work with the Bali manufacturers we work with, which are amazing, and so many weeks of putting the website together, building social media, photoshoots, etc. hitting that button to send the website into the world was very exciting. Sounds a real labour of love! So is there such a thing as an average day at Novella? Each day is different depending on the tasks for that day. We have a beautiful studio that we’re based from in Stockport, Cheshire so that’s HQ. From there, any orders placed online will be individually packaged and couriered out each day. Then I usually try to ensure all emails, customer queries and blogger enquires are responded to on time, my OCD nature ensures that everything is done in an extremely organised and efficient fashion! Meanwhile, social media is always on the back burner. Sometimes, I’ll have marketing meetings with press or be visiting locations for pop up shops. And there is always lots to do in terms of online marketing and research for new products and trends for future ranges. Basically, there’s always lots and lots to do and by choosing different tasks to tackle each day, it’s always interesting and exciting! Your brand and designs have such a unique, individual feel – such an eye for detail and finish. What would you say influences and inspires you? I love the word ‘style’ rather than fashion and I hope that shines through with the aesthetic of my work in general. I think with the way the world is now, it’s so easy to be inspired. It’s no longer just magazines to show you the latest trends but there are creative people everywhere showcasing their original style through Instagram, Pinterest, Facebook, YouTube etc. I love taking tiny aspects of things I like about other peoples styles and creating my own version of that, which suits my personality. This collection was definitely inspired by my first trip to Bali, where I saw first-hand the amazing skill of the people working with these beautiful skins and each of their individual styles, alongside the gorgeous colours that decorate the island through fabrics, jewellery and even the scenery. The AW15 range is fabulous – if you HAD to pick, which piece(s) would be your must-have to get you through the season in style? Aw, well that means so much to me and I love the collection too! 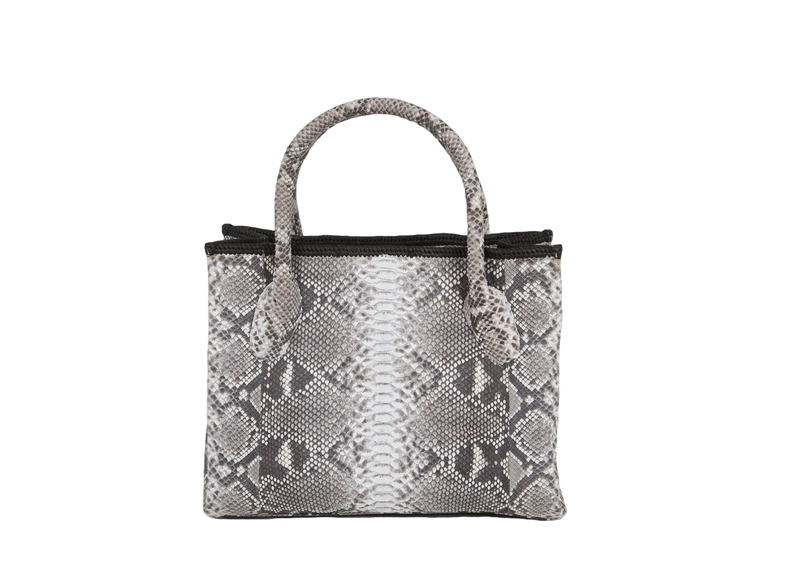 If I absolutely had to choose, I adore the EMELIA Tote Bag. To me, it is the epitome of style and I just love that squared shape when it comes to an everyday tote. Plus, the sectioned detail in the interior makes life so much easier for someone like me, who normally spends way too much time throughout the day rifling through my messy bag! 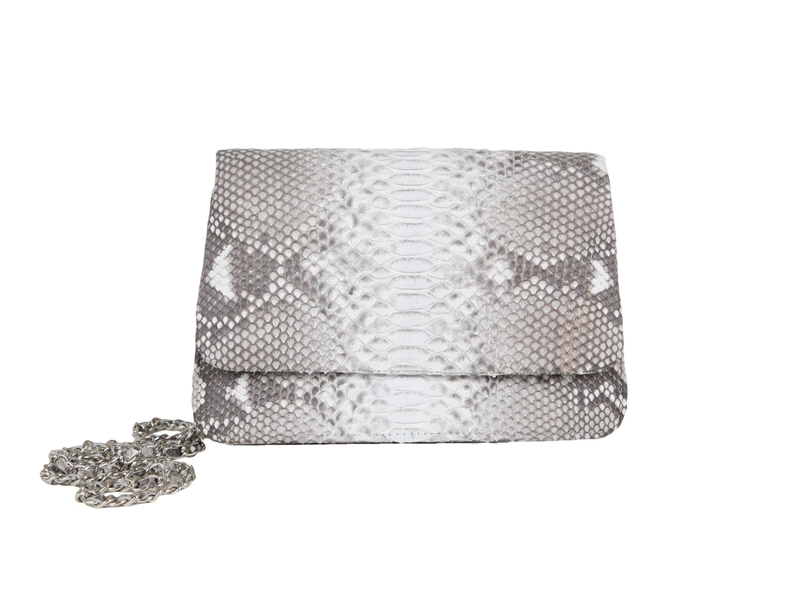 For the evening, I love the NOVA Clutch, which is one of our signature shapes. I love the added wrap black detail around the edges and the envelope shape is just so chic. Who would you say the Novella woman is? I honestly believe the Novella accessories can be for so many customers. I do know they are definitely fashionistas. Whether it’s a 21 year-old girl, who loves the PIA Chain Shoulder Bag to throw on for a festival or a 60 year-old style guru who loves the chic comfort of the PENELOPE Pumps, they all have an eye for effortless style and a love of unique accessories. We love seeing your outfit posts on your Instagram. How would you describe your own personal style? I would describe my own style as black! I love black all day long and every night and I think that’s why I adore the stunning prints of the natural python skins because they adds such fabulous detail to my monochrome looks. Seeing as we are in the midst of the various fashion weeks around the world…what’s SS16 looking like at Novella? SS16 is all about newness for Novella. 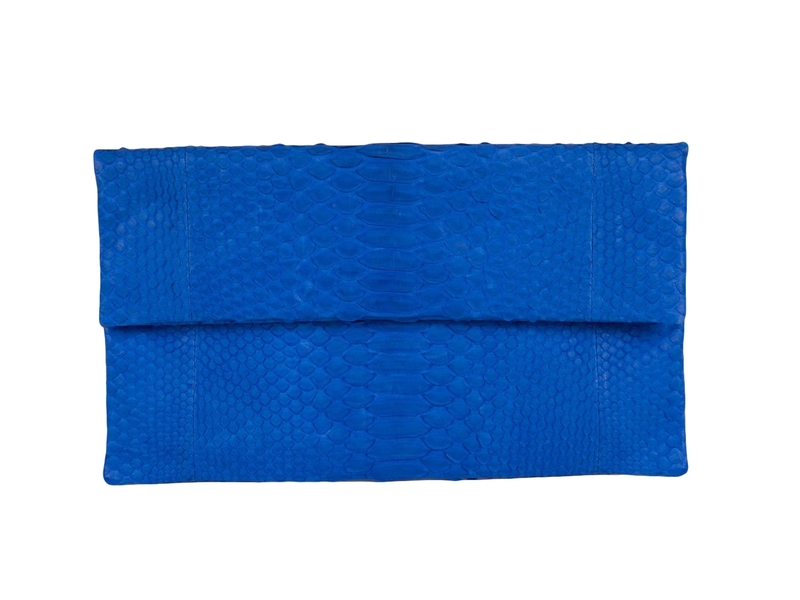 We will be bringing new ideas and new shapes to the range, such as the perfectly shaped cosmetics bag and smaller items like passport holders and chic python keyrings. In terms of colour, we are all about the strong aesthetic that we have showcased so far but I’m very excited to see some new soft pastels coming through to complement some softer, spring looks. Thank you so much to the lovely Kate for chatting to us about all things Novella Buying. Go check the website out at http://www.novellabuying.co.uk. As a super exclusive for all our FDJ LDN fashionistas, we can offer our readers an EXCLUSIVE discount code FASHIONDUJOUR for 20% off everything! Now that’s totally #FashionDuJourable! P.S. Like what you see? Well, why not pop us a little like, comment or share? Perhaps go visit our Instagram or Twitter? Make sure you never miss a post by subscribing to our email list or follow us on Bloglovin‘! See you there marvellous mavens!